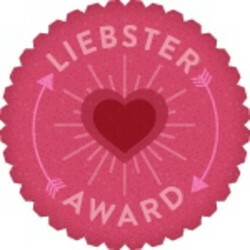 So I woke up this morning to a comment on my blog from Hayley at lastyearsheroxo.blogspot.co.uk saying she had nominated me for a Leibster award. Now I'll be honest, turn back the clock two weeks and I would have had no clue what this was but my sister in law has also just started blogging and she was nominated for one so I had read her post about it. If you don't know what it is, it's a award to recognise up and coming, new bloggers with less than 200 followers. What a great way to get some new followers and meet some new like-minded beauty addicts! Thank you Hayley for the nomination! 1-You must post 11 random facts about yourself. 2-You must answer 11 random questions from the person who nominated you. 3-You must create a new set of 11 questions for who you tag. 4-You then tag 11 blogs with under 200 followers, you cannot tag back. 1-I can cure hiccups in 10 seconds on ANYONE. And I have a 100% success rate. 4-My most treasured possession is a stone that has been painted to look like a rabbit. I bought it for my nan on a holiday when I was a child and she loved it. When she died I asked if I could have it to remember her by. 7-The first time I tried a prawn I was 29 and the first time I tried cauliflower cheese I was 30! 8-I've lived in Dubai for almost 8 years-thought I would last about 6 months! 9-I don't do any cleaning at home AT ALL-because apparently I don't do it properly!! 11-I love chocolate, diamonds, fruity cocktails and shopping-but I'm a girl so that's normal right?? I don't think I have one particular person to be honest, I turn to different people for different things. My role models are definitely my parents who are amazing. Well I am pretty lucky to live in Dubai but I would love to live in the States also. Actually I think my 'normal' job is pretty close. Sometimes it's not what you do its how you do it and who you do it with and I work with an AMAZING team, I get to travel and I laugh every single day at work. I would like to work with animals though, I love my cats-but I am worried if I saw cruelty then I wouldn't be able to deal with it as it would be so upsetting. 4. What's your favourite foundation? I struggle with foundation so much to get that right colour. Right now I am loving Make Up Forever HD Foundation. Kiehls is my go to brand and its now widely available in the UK. Currently loving the Acai foaming cleanser and Rosa Artica moisturiser. I also love Estee Lauder Illusionist-makes your skin feel like velvet. 6. What are your two favourite blogs? 7. What make up product are you dying to have? I really want to try Astalift skincare range! 8. What's on the top of your Christmas list? An Ipad 3. Diamonds will be welcomed too. 9. What qualifications do you have? The comments and feedback you get back-gives you a real buzz! I also find it quite relaxing and a good way to switch off from my day job. 11. Have you travelled much, if so where? Yes I've been really lucky. Spent time in the States, most of Europe, live in Dubai so done most of the Middle East (Oman, Jordan, Qatar, Bahrain etc), travel to Egypt every 3 weeks and spent time in Thailand and Malaysia. South Africa and Canada are countries I would love to visit. 1-So you're coming to mine for dinner tonight-what would you like me to cook? 2-I'll also be getting the drinks in-what's your favourite poison? 3-Are you on Santa's nice or naughty list this year? 4-How do you usually spend Xmas? 5-Are you an early bird who catches the worm or a night owl? 6-If you could get on a plane and fly anywhere tomorrow where would you go and why? 7-What's your favourite pick n mix sweet? 8-If you win the lottery (and I mean win BIG) what are you going to buy first? 9-What's your mantra/favourite quote/philosophy to live by? 10-We're at Cheesecake Factory-what flavour are you having? 11-What are you plans for the weekend? Thanks again Hayley for the nomination!